Dislodgement of venous access devices such as catheters is widespread and underreported, a survey of 1,500 clinicians shows. There are several negative impacts from dislodgement of peripheral and central catheters including interrupted treatment, supply waste with catheter replacement, phlebitis, and infection. 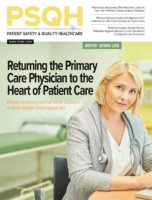 Dislodgement is a significant source of wasteful spending at health systems and hospitals, the author of the survey, Nancy Morneau, RN, PhD, of Hartwell Georgia-based PICC Excellence Inc., told HealthLeaders last week. “Accidental dislodgement may be a much bigger problem than central line associated blood stream infections. It contributes to the increasing cost of healthcare. When we look at the estimates of dislodged catheters, there are more than five million incidents. If you put dollars and cents to that, it’s more than a billion dollars that is lost every year,” she said. The survey found high rates of catheter dislodgement. Auditing incidences of catheter dislodgement and other vascular access device failures is crucial to managing care, Morneau said. Documentation is a key element of auditing. The electronic medical record should account for discontinuation of vascular access devices for a patient including dislodgement, Morneau said. Health systems and hospitals also should encourage reporting of catheter dislodgements, she said.